There are no official figures for the proven reserves of oil and gas in Laos. However, according to CIA World Factbook, the country’s consumption of oil in 2011 was estimated to be 1918 bbl/d, a 36% decrease over 2010 figure. The Ministry of Industry and Commerce governs and oversees the oil and gas sectors in the country. The Lao Government has been opening the country’s economy to foreign investments and private investments since 1986. In 2009, an oil and gas exploration project initiated by UK-based Salamander Energy Co Ltd started drilling two wells in Savannakhet and Champasak Saravan provinces. State holders in the project are a Lao private company (5%), a Vietnamese petrol company (25%), International Finance Corporation (IFC), a member of the World Bank Group (10%) and Salamander (60%). In February 2010, Salamander Energy spudded its first well in Laos since 1998. The Century 26 rig was contracted by Salamander for the drilling. It operates the Savannakhet license with a 30% stake, working alongside state run PetroVietnam (25%), Australian player Origin Energy (30%) and local vehicles. The company also holds 20% stake in the Champasak & Saravan PSC further south. 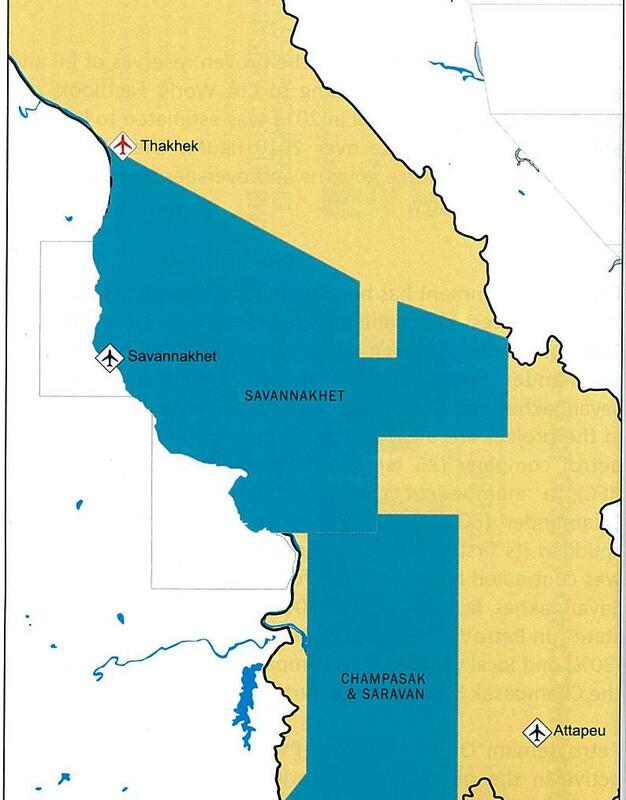 The Champasak & Saravan PSC covers 41,140 square kilometres and is located south of and adjacent to Salamander's Savannakhet PSC. Salamander's interest was acquired in March 2008 through a cross-assignment agreement with PetroVietnam Exploration Production Corporation ("PVEP") that saw PVEP become a partner in the Savannakhet PSC. PetroVietnam Oil Corporation (PV Oil) has been particularly active in the oil sector. In early 2011, PV Oil opened its subsidiary in Vientiane. Having a charter capital of more than US$3 million, its activities include trading of oil and petrol products as well as other agricultural products. Earlier in December 2009, the company bought the entire stake of Shell Lao from its parent company Royal Dutch Shell.